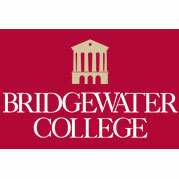 Minnijean Brown Trickey, one of a group of African American teenagers known as the “Little Rock Nine,” will speak at 7:30 p.m. Wednesday, Sept. 12, in Cole Hall at Bridgewater College. In the fall of 1957, Trickey, along with eight other African Americans, walked through the front doors of Central High School in Little Rock, Ark. Walking past armed guards and an angry mob, and in front of a worldwide television audience, she helped set America on the path toward desegregation in public schools. Although all of the Nine experienced verbal and physical harassment during their year at Central, Brown was first suspended, and then expelled for retaliating against the daily torment. She moved to New York and lived with Drs. Kenneth B. and Mamie Clark, the African American psychologists whose social science research formed the basis for the National Association for the Advancement of Colored People (NAACP) argument in the Brown v. Board of Education of Topeka, Kansas case, which held that segregation harmed the self-esteem of African American children. In 1959, Trickey graduated from New York’s New Lincoln School, a private, progressive school in Manhattan. She graduated from Southern Illinois University, where she majored in journalism. Moving to Canada, she received a B.S.W. in native human services from Laurentian University and an M.S.W. in social work from Carleton University in Ontario. A social activist, Tricky has worked on behalf of peacemaking, environmental issues, developing youth leadership, diversity education and training, cross-cultural communication, and gender and social justice advocacy. She served in the Clinton administration as deputy assistant secretary for workforce diversity at the Department of the Interior. Trickey has received numerous awards for her work for social justice, including the Lifetime Achievement Tribute by the Canadian Race Relations Foundation and the International Wolf Award for contributions to racial harmony. Along with the other “Little Rock Nine,” she was awarded the Spingarn Medal by the NAACP in 1958 and, in 1999, President Clinton presented the members with the Congressional Gold Medal. She has appeared in two acclaimed documentaries: Journey to Little Rock: The Untold Story of Minnijean Brown Trickey and HBO’s Little Rock: 50 Years Later. The program is sponsored by the Harry and Ina Shank Educational Fund and is open to the public at no charge.